Interestingly, Robertson’s comments evidently weren’t direct enough for some, so when Dateline Hollywood ran a satirical piece claiming that the evangelical leader had said that “Hurricane Katrina was God’s way of expressing [His] anger at the Academy of Television Arts and Sciences for its selection of Ellen Degeneres to host this year’s Emmy Awards,” many took the story as gospel (no pun intended) and cited it, rather than Robertson’s actual statements, as indicative of evangelical Christianity’s response to the disaster. Richard Dawkins, for example, mentioned the fictitious episode in his book The God Delusion, saying that while it was “unclear” whether the event actually occurred, the supposed statements were “entirely typical of utterances by evangelical clergy… on disasters such as Katrina” (2009, p.239). Is attributing natural disasters to divine wrath “entirely typical” of evangelical ministers? I admit I’m rather doubtful that an energy-drink-hawking national spokesperson like Pat Robertson is really typical of any group. But even if he was, Robertson’s own comments about the storm (and, similarly, his odious follow-up comments about the 2010 earthquake in Haiti), loathsome as they are, don’t actually claim that the storm was an expression of God’s wrath, at least not in the straightforward way that the parody article does. In fact, there’s quite a bit of wiggle room and ambiguity about the agency of God in Robertson’s original comments if we actually look at his words. I bring up Robertson against my better judgment this week because he’s one of the first people who seems to come to mind when I tell people I’m doing a project on what religious leaders in New York said after Sandy hit. “Do they say that God sent the storm?” “Do they think it’s a sign of the End Times?” And so on. People seem curious about whether we have a bunch of would-be Pat Robertsons running around the five boroughs. Fortunately, the Superstorm Research Lab has put together archive of sermons and other religious messages given immediately after Sandy that lets us answer these questions. This still-growing archive gives us is a deeper and more nuanced view of post-disaster religious interpretations and communication than we get from the too-frequent media coverage of outrageous statements made by professional provocateurs. So with that in mind, I want to take a quick peek at what religious response to disaster looks like on the ground, focusing on the wide variety of Christian communities (ranging from Unitarian Universalists to Emerging Evangelicals to Seventh Day Adventists to Southern Baptist transplants to NYC). Actually a few did… but they weren’t necessarily the Pat Robertson type. One minister of a Black Protestant congregation in hard-hit Far Rockaway claimed that the storm was God’s way of demonstrating his power to the “rich” and “gay” elites of Manhattan. In another example, the pastor of a predominantly black Seventh-Day Adventist Church said that our increasingly erratic weather was a sign of “the last days,” urging his congregants that they should turn quickly to Jesus to help them endure the difficult times ahead. In sharp contrast to Pat Robertson’s nakedly racist comments about Haiti, then, both these ministers seemed to interpret the storm as God’s wrath as a way to encourage their communities to persevere in the case of existing and perhaps increasing hardships. In the former case at least, the pastor seems to depict the storm (albeit implausibly, given that some of the most privileged sections of Manhattan were virtually untouched by the storm while the Rockaways were devastated) as a kind of retribution for the deep inequalities between the cities’ elites and the rest of its inhabitants. We by no means have to endorse these comments to understand that they reflect something more than predictable attempts to rally the usual culture warriors. More importantly, although the sermons in SRL’s archive don’t constitute a representative sample of NYC leaders or congregants, it’s still striking that out of more than 100 post-Sandy messages, only a handful invoke divine wrath or the End Times. More than a few, including some evangelical churches, actually criticize the “divine wrath” argument explicitly. Others see the storm as a sign we need to combat climate change or fight for social and environmental justice, while a number of evangelical church leaders call on their congregants to share Christ’s love through relief work, while also sometimes implying that the storm has created a useful moment for recruitment and organization building. This is all to say that, if you’re interested in the topic, I’d encourage you to explore the Superstorm Research Lab’s archive of sermons after Sandy. 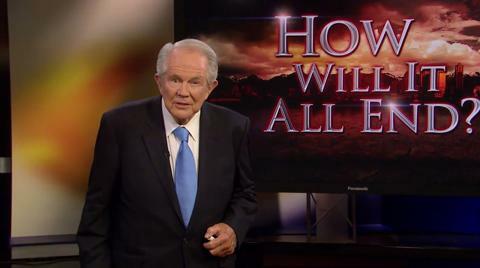 It won’t take long for you to see that the Pat Robertson stereotype doesn’t get you very far.